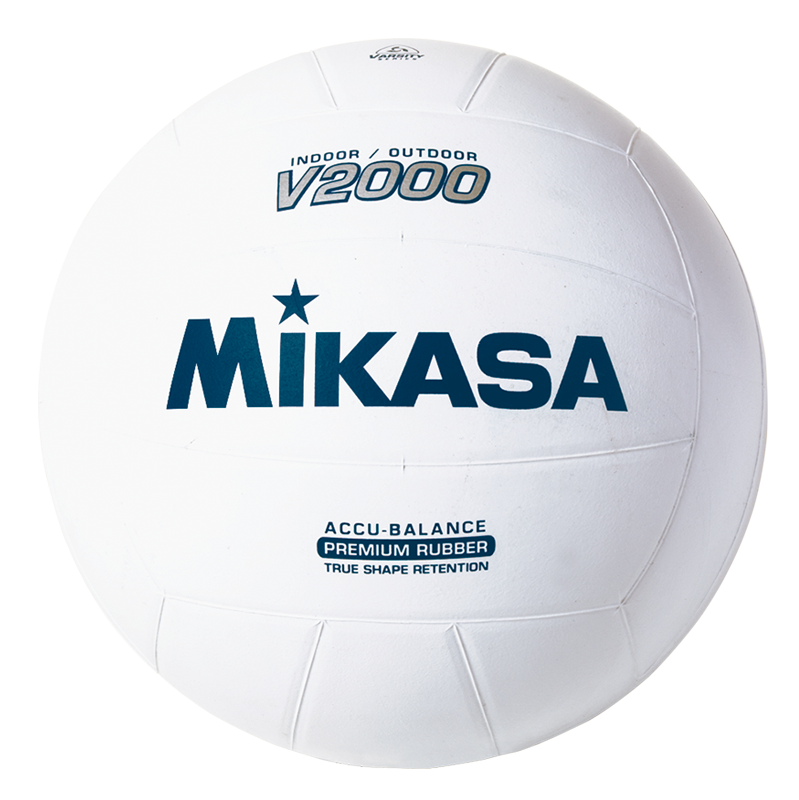 V2000 - Mikasa Sports USA Volleyball. Constructed with smooth rubber panel seams and accu-balance true shape retention. Designed for indoor and outdoor use.